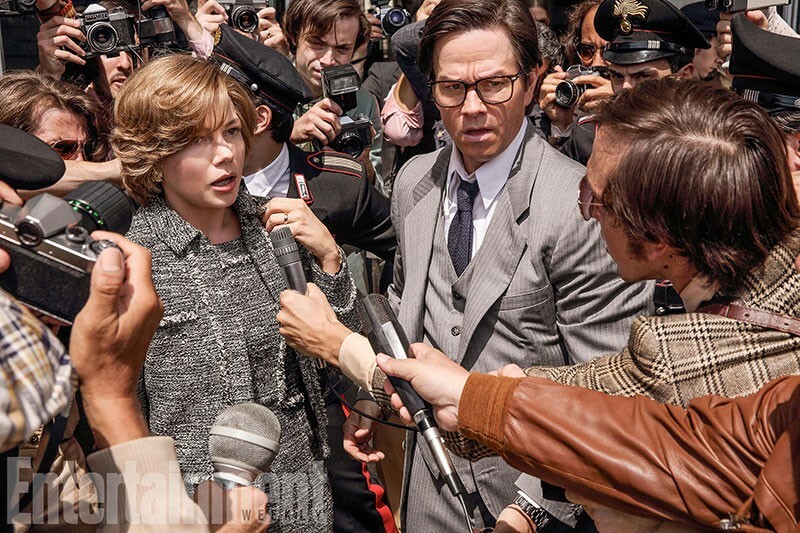 ALL EARS Michelle Williams teams up with Mark Wahlberg to rescue a young J. Paul Getty III in new Ridley Scott film. The 1973 J. Paul Getty III kidnapping is a chilling story that left its imprint on late-20th century cinema: the single grisliest detail was borrowed for everything from Blue Velvet to Reservoir Dogs. In Reservoir Dogs, Tarantino swerved the camera away from the ear-trimming scene; here, director Ridley Scott spares us nothing. Charlie Plummer plays the grandson of the world's richest man, tripping through what's left of the La Dolce Vita scene in shapeless hippie clothes. He's stuffed into a VW van by bumbling Calabrian kidnappers, who demand a $17 million ransom. The elder Getty (Christopher Plummer, a last-minute replacement for the disgraced Kevin Spacey) refuses to pay up. According to this version, the billionaire Getty had both defensible and indefensible motives for his miserliness. Getty the elder had 17 grandchildren, all of whom might turn up kidnapped later if the criminals prospered. Less defensible: only the first million dollars of paid ransom is tax deductible. It's surprising how toast-dry this story of decadence and crime is. One problem is the difference between the plausible fictionalizations and the implausible ones, including an entire ending chase sequence that's obviously concocted, as well as comeuppance for the plutocrat cheapskate. As Paul's grieving mother, Gail, Michelle Williams is feisty but seems to come from nowhere, a character there to demonstrate Williams' ability to go full lamenting Pietà in five seconds. Despite an exciting near-escape from captivity using fire, Charlie Plummer isn't much more interesting playing the imprisoned victim. Pauline Kael believed there was never a really great movie about kidnapping—Kurosawa's High and Low being the exception. All the Money in the World is a poor movie, and all it needed was a bad main performance to sink it. And as Getty's ex-CIA security chief Fletcher Chase, Mark Wahlberg does the trick. 'All the Money in the World' is playing in wide release in the North Bay.